Sorry that I have not written recently. I have been busy and also feeling a bit flat! No real problems, just finding the daily grind hard to take at the moment. Marie Wallin’s new book is due on Monday or Tuesday of next week. And I think Kim Hargreaves has a new book on the way too. We shall all be drowning in books. Jackson has been difficult lately. He has terrorised Slip so that she dare not walk past him. Also he is forever lying in ambush behind chairs and curtains and pouncing out when she goes by and giving her a swipe of his paw. I don’t think he means anything by it but she is afraid of him and comes and sits in my office. Now I must go and iron and dress some crabs for dinner! I am going to need quite a lot of tops to wear in the evenings when we go to St. Lucia as T shirts are not allowed at night. So I have been searching for some patterns and I have decided on the first one. It is a design by Kessa, who is one of my customers. If you would like to see more of Kessa’s designs, click here. 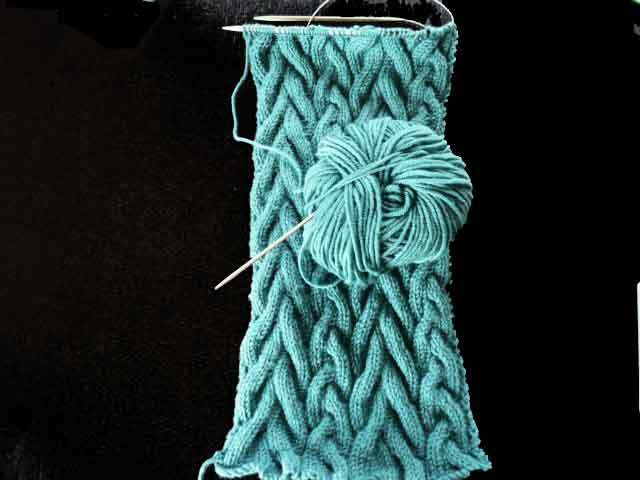 Another one of my customers is going to knit it for me. I have decided on Rowan Pure Linen in a neutral shade so that it will go with lots of things. I had a large delivery of Superior today – most of it was pre-ordered but there will be some balls left over. Nothing much else to report except that Jackson now weighs 16 lbs and will have to go on a diet. He looks portly! The two photos below are taken from Windswept – a new book by Marie Wallin that is due at the beginning of next month. There are some gorgeous patterns – mostly knitted in fine tweed. Not so wet here this week and quite sunny for a change. We have lost Solo, our last white dove. We found a heap of feathers on the patio and think that the Sparrow Hawk has taken her. We used to have a huge flock of doves, we started with four and they multiplied and multiplied. The pigeon loft could not hold them all and so we got rid of them apart from one pair. One of the pair died some while ago and so we were left with one who we called Solo. We used to loan them out for weddings and funerals and they used to find their way home. Jackson is in disgrace as he used the box we keep the kindling wood in beside the fire as an indoor toilet. He has never done such a thing before!! 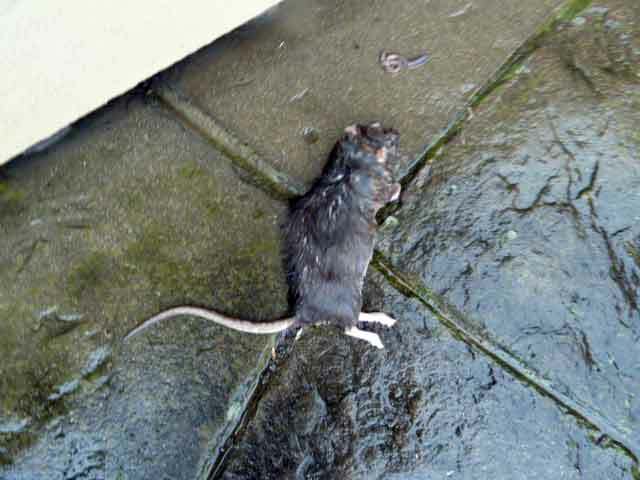 He said he was caught short and had to go – the box was flooded! We have removed the box in case he thinks it is there for his use! Now I am going to iron and then cook dinner – sausages, onions and mashed potatoes for John and I have a kipper. Sorry I have not written for a bit. The weather has been dreadful. Rain, rain and more rain and then last night there were gales. We woke up this morning to find there was no power. Apparently there was an overhead fault with the cables. I went shopping and to the hairdresser and by the time I got home, it had come on again. The wind is still very strong and so it is likely to go off again at any time. John has the generator standing by. We will be able to power the TV and lights and charge our phones and iPads but no heating or cooker……we can go out to eat!! Our fence has blown down too – Jackson has a quick route into the next door garden! The Artyarns order is coming on Monday….a big thank you to everyone who has been so patient. It took longer than normal because of Christmas and the New Year. Now I had better go and start lunch whilst I still have power! I am writing early as we have very high winds and are likely to have a power cut as we have overhead cables. It is also raining very heavily. Two panes of glass in the greenhouse have broken and a fence panel has fallen over! The roads near me are not flooded yet, but, if it keeps on raining, they soon will be. The Sulka Legato has arrived. It is so soft and such pretty colours. John was not cross about it as he liked it! He tends to get annoyed if he does not like the yarns. I am going to stop now as I need to go and pack a few parcels and I want to do it before the wind gets stronger – I can hardly stand up as it is. 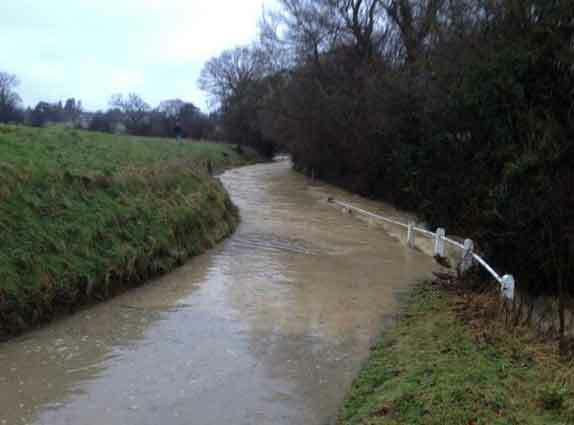 Well, the floods have receded but now we have very strong winds…I could hardly stand up when I went outside just now. It is easy and does not require too much concentration. To my horror, I see that yet another box is on the way to me from Designer Yarns. I have delayed the delivery until Tuesday…..maybe John will go pigeon shooting or something! I have told John about the holiday and he was OK with it. He liked the sound of there only being 30 rooms and that the meals are proper sit down ones ( not buffets ) and that the wines are chosen to compliment the food. And he does not mind going in the helicopter from the airport to the hotel. So I no longer have to worry about telling him. We went out for a meal last night and he said that he thought I was thinking about a holiday for me and so I told him! Lobster tails and rice with black beans for lunch today – a nice easy meal for a change. A lady telephoned me to say that she has 12 boxes of old yarn that she wants to sell – Rowan, Jaeger, Pinguoin, Patricia Roberts and so on. She is sending me a list and, providing the price is OK, I shall buy it. Now I must go and make some custard for the rhubarb tart! 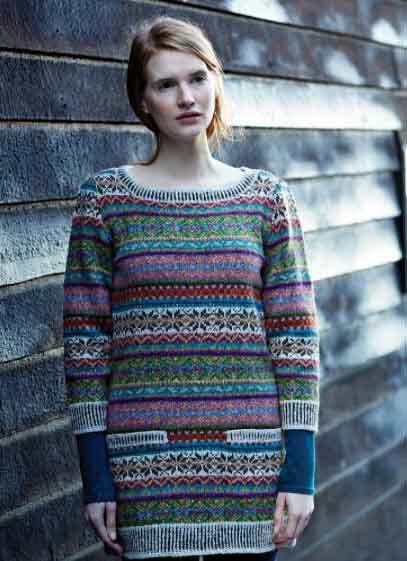 Noro Favourites is now available – these are lovely designs by Claudia Wersing. 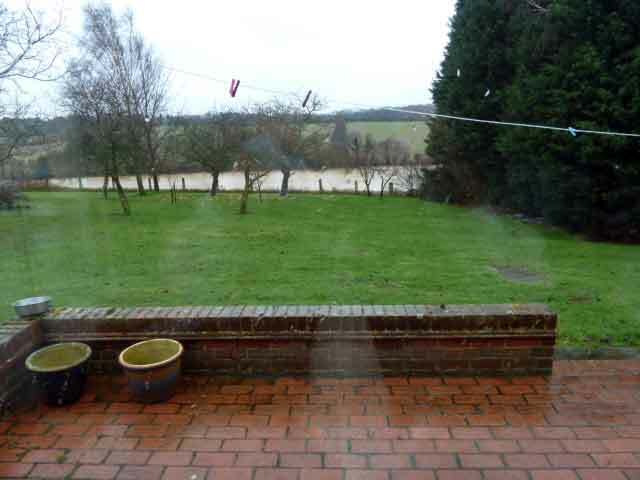 This is the view from my patio – it should be grass right down to the line of trees but the brook has burst its banks. 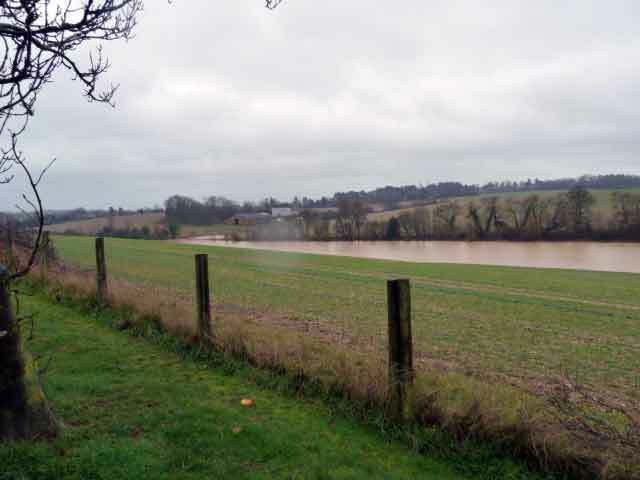 This view is from the bottom of the garden – there shouldn’t be any water visible. We went to the fishing lake today and had to do a detour because lots of roads are closed. 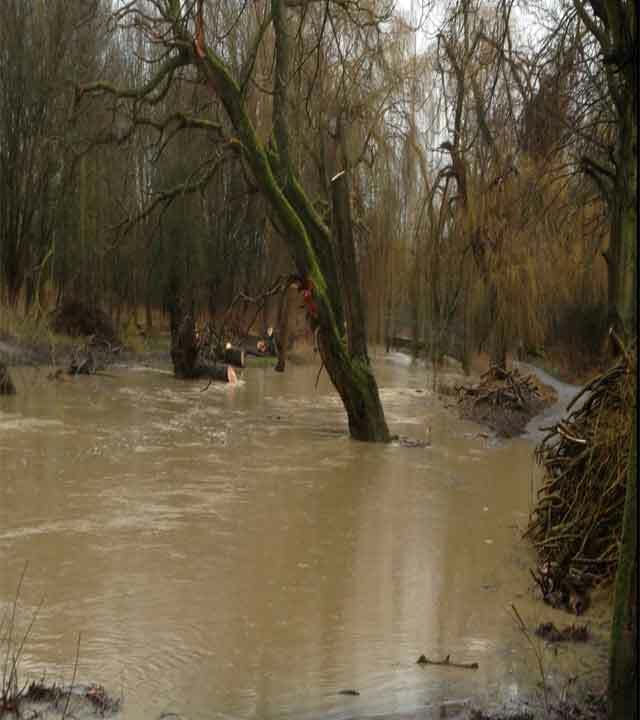 I took this photo through the windscreen as we were going through a flood. More rain is forecast for tonight too. 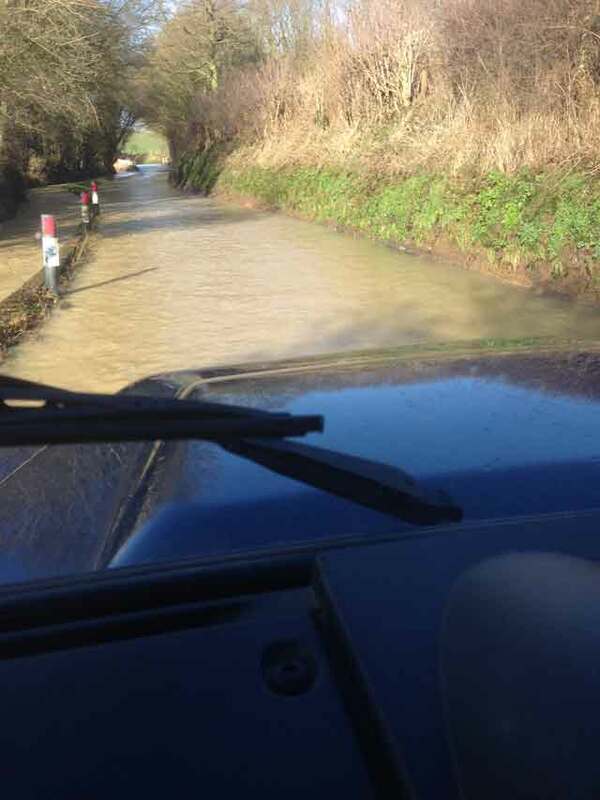 We can go through quite deep water in the Land Rover and so can still go out! Now I must get on as we were out far longer than expected and I am behind!